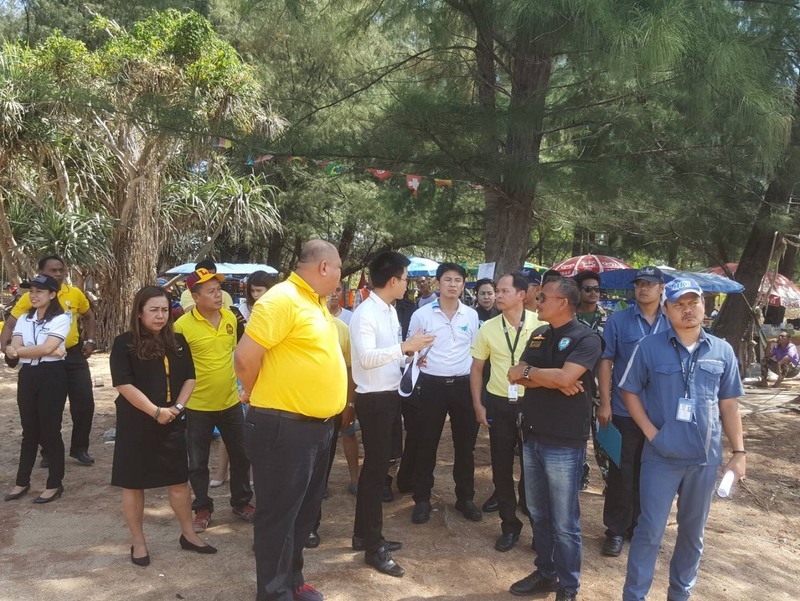 PHUKET: Thanee Chuangchoo, General Manager of Phuket International Airport, today (Apr 11) dismissed reports circulating in the international media that taking selfies on Mai Khao Beach near the runway will incur the death penalty. Mr Thanee called the spurious reports “incomplete”, noting that they focused on the most serious of punishments available under the law reserved for those who endanger lives. 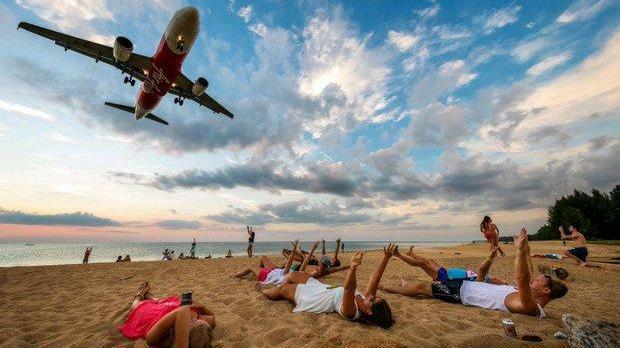 “Taking selfies or pictures of aircraft while standing on Mai Khao Beach will not incur the death penalty,” Mr Thanee said. “But if people take any action which is harmful or disturbs the piloting of any aircraft, such as distracting pilots by pointing laser pens at them or flying drones in the area, such behaviour will see the Civil Aviation Authority of Thailand (CAAT) invoke the law,” he added. “In my opinion taking a selfie is okay,” Mr Thanee said, but noted that he is not directly involved in the particulars of expanding the “safety zone” at the end of the runway. Mr Thanee explained that the reports of death penalty were considered so ridiculous that he was initially asked to not even respond to them. He also pointed out that attempts to have the beach area at the end of the runway sealed off in years past were headed off by provincial officials who said they wanted to keep the area open to the public as it was a very popular tourist attraction. The news of expanding the safety zone broke on Mar 6, when Vijit Keawsaitiam, AoT Executive Vice President and Deputy General Manager of Phuket International Airport (Operations and Maintenance Group), announced that the “safety zone” around the airport will be expanded. Mr Thanee today said that he was not involved in the actual expansion of the prohibited area. Instead, he passed that on to the CAAT and the national park officers responsible for Sirinath National Park, within which the beach area is located. “I have been informed that they will install a fence in the area, but I do not know any more details than that,” he said. The CAAT has yet to respond to questions from The Phuket News about details of the plan to expand the safety zone. 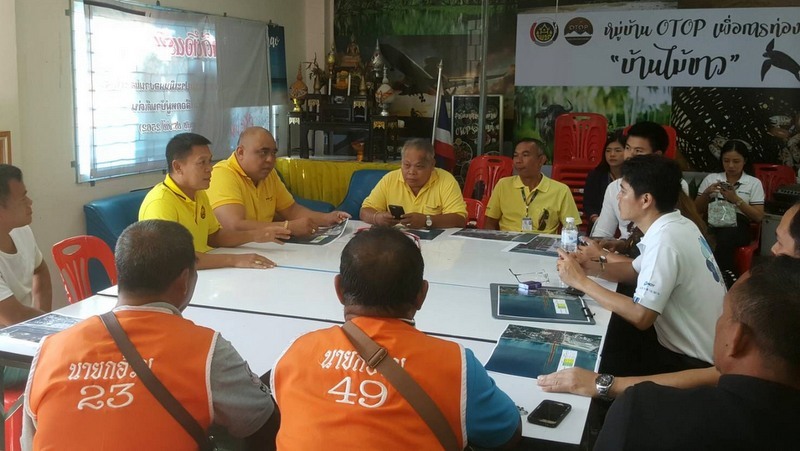 Local residents met with officials last Friday (Apr 5) about the expansion of the safety zone at the end of the runway on Mai Khao Beach, he added.